Adenandra uniflora or the China Flower is a prostrate shrub with a sprawling habit and thin woody branches that are tinted red. Tiny, dark-green leaves adorn the plant and, like most plants in the Rutaceae family, are aromatic when crushed. 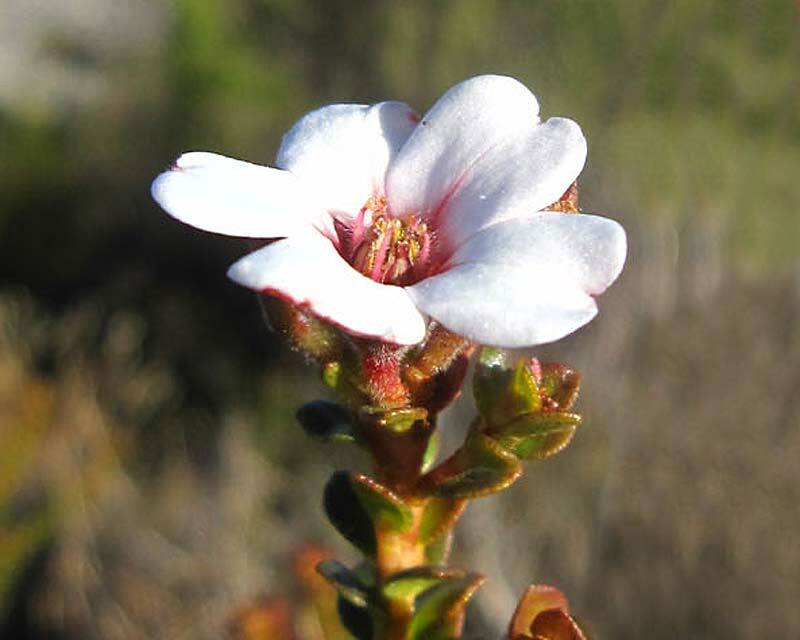 The abundance of large, five-petalled, white flowers are the main feature of this shrub. A great rock garden plant that looks breathtaking when in flower. Soil: A very well-drained soil. They like to dry out a bit in summer.